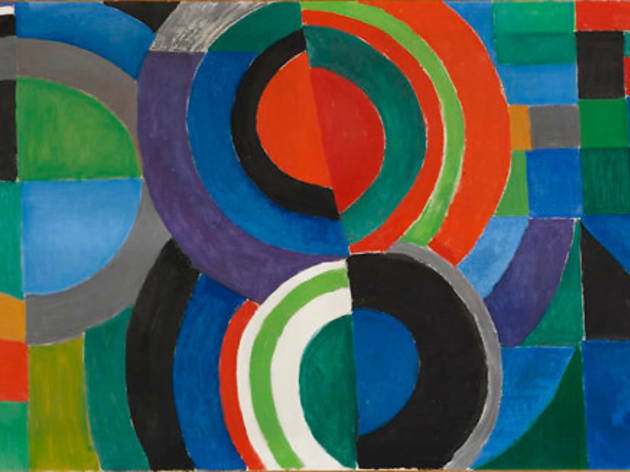 For too long, the art world has pigeonholed Sonia Delaunay as 'the wife of Robert Delaunay' – as if her work were some kind of inferior facsimile of his. Three cheers, then, for the curators of this hefty new retrospective, who have finally redressed the imbalance. Emerging at the tail end of the Fauvist movement, Delaunay gradually rid her work of conventional perspective, developing a Cubist style that Apollinaire would term 'Orphism'. Hers was an oeuvre built from colours and music. Tracing her career from Belle Epoque experimentation to the monumental works she produced in the ’70s, 'Les Couleurs de l'Abstraction' hones in on the variety of formal techniques employed by the Ukrainian-born artist. Aside from her significant work in painting, it also looks at her ventures into textiles and book cover art, underlining her ambition 'to bring art into life'. And yet, for all its thoroughness, the exhibition never quite gets off the ground. 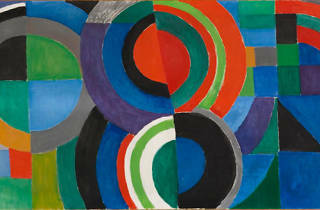 Whatever the medium she's working in, Delaunay has a tendency to rework the same old hemes and ideas. This results in a slightly monotonous layout, which sticks faithfully to a chronological ordering of her career without really bringing any of it to life. A juxtaposition of her most notable oeuvres with works by contemporaneous artists might have made for an interesting comparative exercise; as it is, we're given lots of art but little insight.